Memo Pads for Mayport Ships. This Nautical Gift Shop deals in Memo Pads for Mayport Ships. 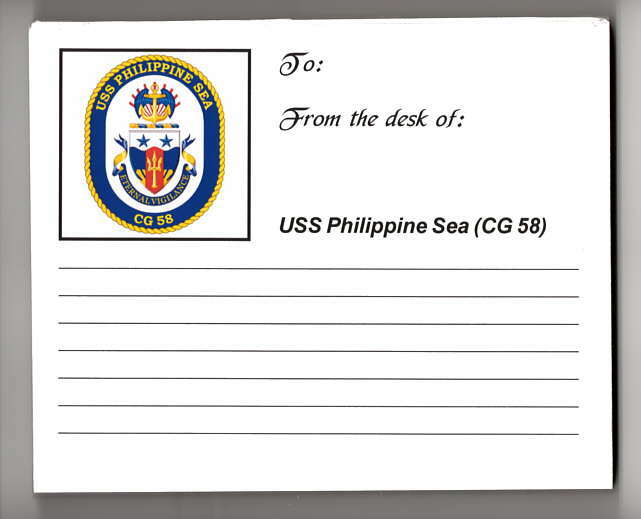 USS Philippine Sea (CG 58) Memo Pad. 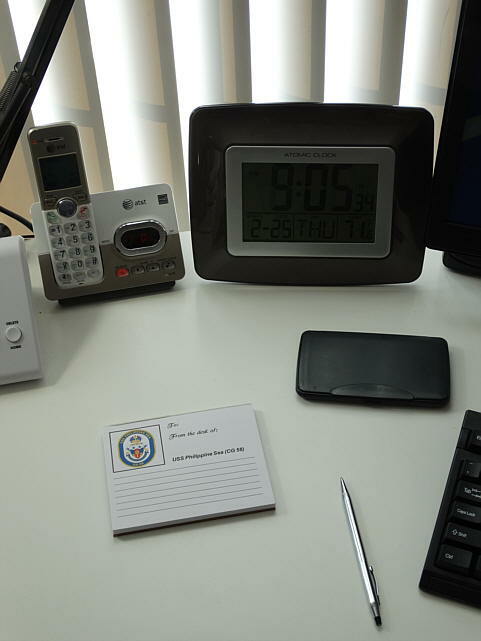 These Memo Pads are 5.25" x 4.25" in size, have 50 easy tear off Sheets/Pad. They are lined and have a stiff Cardboard Backing. They are available in Packages of (1), (2) or (4) Pads. Mayport Ships Emblem Memo Pads. QECG-58- USS Philippine Sea (CG 58) - Memo Pad. Product Details on Memo Pad prices and Specifications. 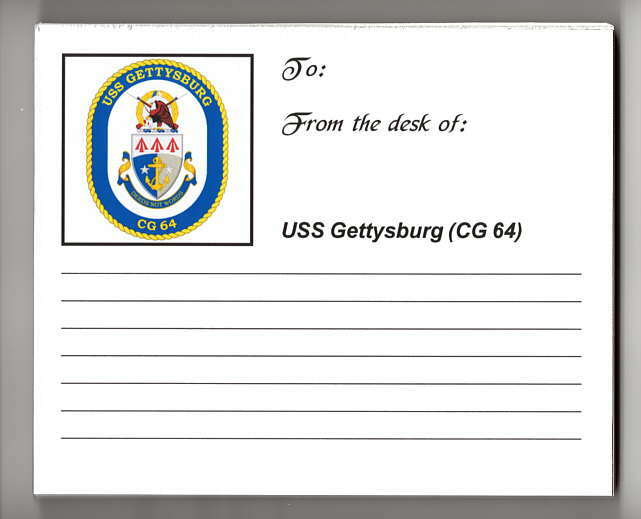 QECG-64- USS Gettysburg (CG 64) - Memo Pad. 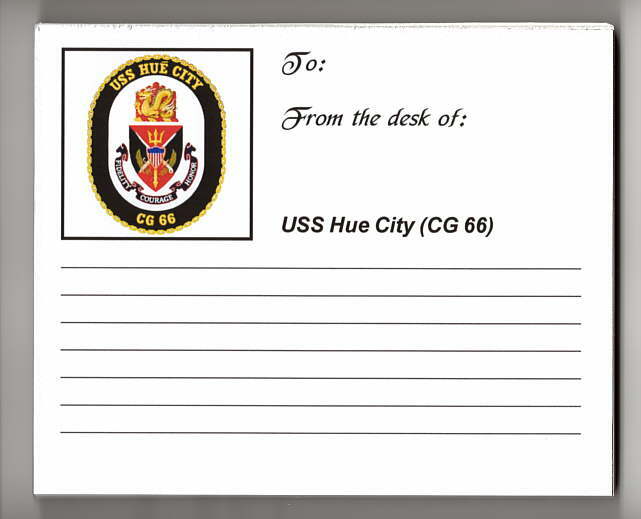 QECG-66- USS Hue City (CG 66) - Memo Pad. 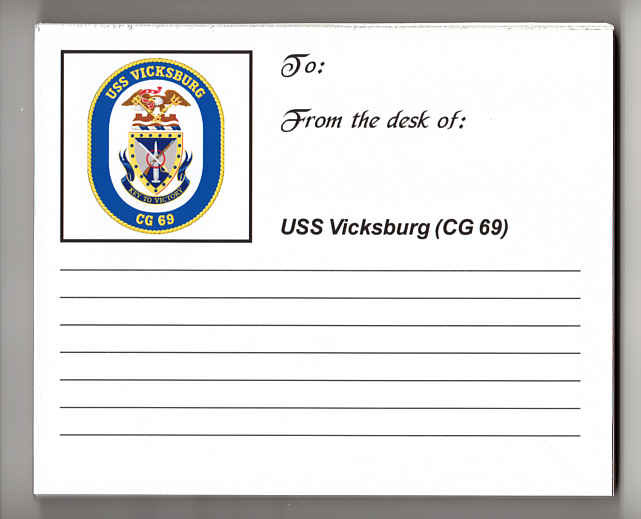 QECG-69- USS Vicksburg (CG 69) - Memo Pad. QEDDG-99 USS Farragut (DDG 99) - Memo Pad. 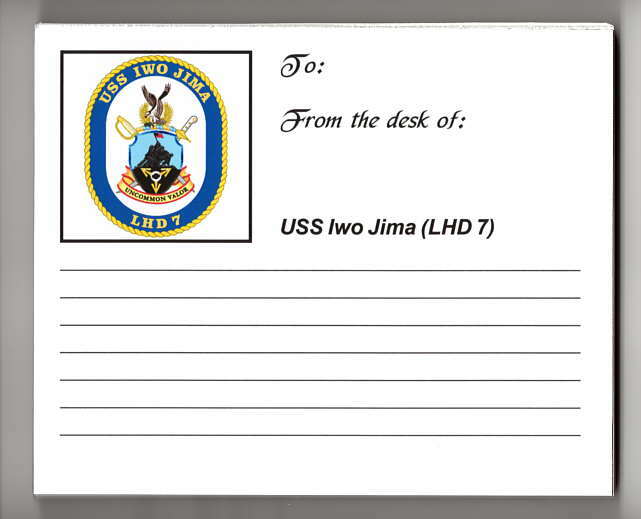 QELHD-07 USS Iwo Jima (LHD 7) - Memo Pad. 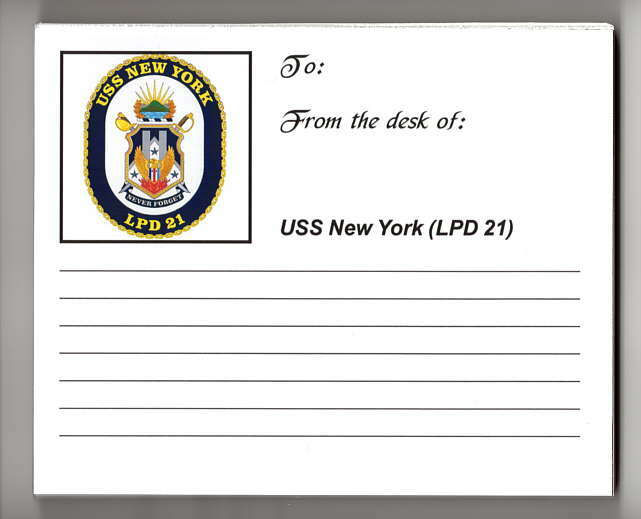 QELPD-21 USS New York (LPD 21) - Memo Pad. 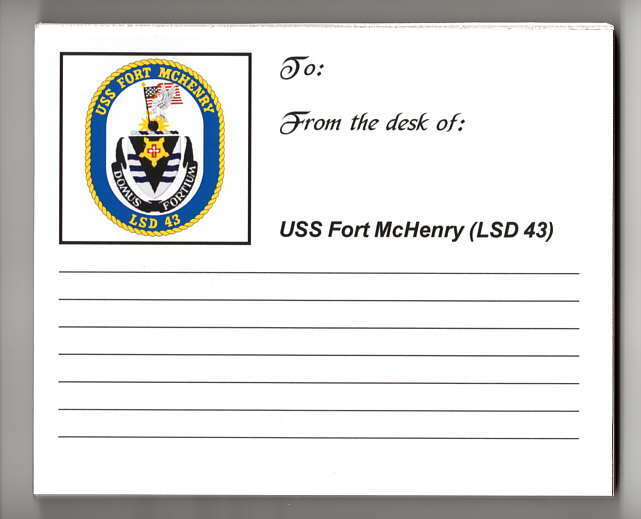 QELSD-43 USS Fort McHenry (LSD 43) - Memo Pad. 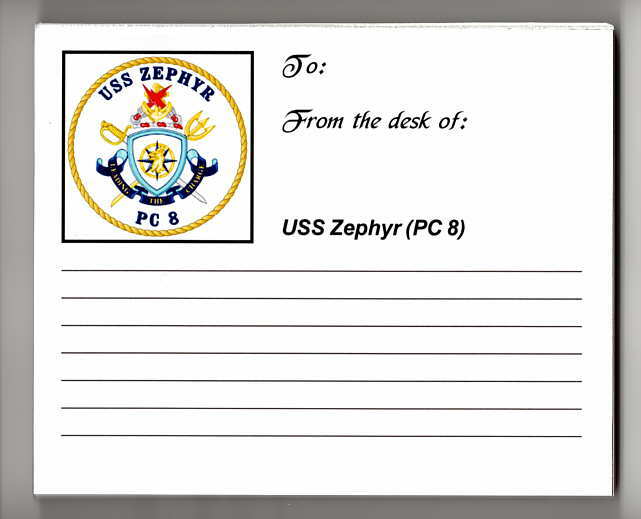 QEPC-08- USS Zephyr (PC 8) - Memo Pad. 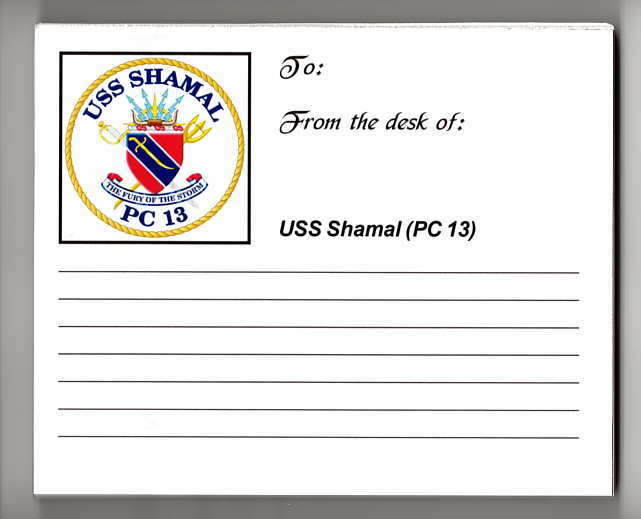 QEPC-13- USS Shamal (PC 13) - Memo Pad. 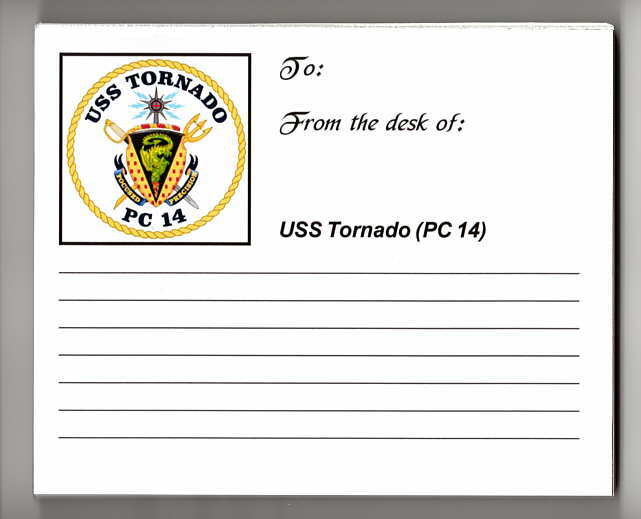 QEPC-14- USS Tornado (PC 14) - Memo Pad. Message Pads for Naval Station Mayport Ships available from wv-prints.com.